Maria Goretti was only twelve years old when she died in 1902, but the story of this young Italian girl has touched the hearts of Catholics everywhere for over 100 years. Maria’s parents were hard-working tenant farmers who raised crops on land they rented. When she was nine, Maria's father died. Her mother moved the family to a building where another family lived—a father and his son. The son’s name was Alessandro. Maria kept house and watched her younger sister while her mother, brother, and older sister worked in the fields. She was afraid of Alessandro, who was 20. He had tried to kiss and touch her. Maria stopped him. She knew that God calls us to live the virtue of chastity by respecting and honoring our gift of sexuality. Maria wanted to keep her purity. Alessandro was angry. He threatened to kill her. Maria avoided Alessandro and tried to never be alone with him. One day while Maria was caring for her sister, Alessandro found her alone and tried to force Maria into physical acts. When she refused, he stabbed her 14 times with a knife. Maria died the next day after telling her mother she forgave Alessandro. She received Holy Communion before she died. At his trial, Alessandro was found guilty and sentenced to 30 years in prison. At first, he was angry, but soon he began to feel sorrow for his terrible sin. He said he dreamt that Maria visited him and gave him lilies. He changed the way he acted and began to treat people in kindly ways. When he was released from prison, the first thing he did was to go to Maria’s mother to beg forgiveness. 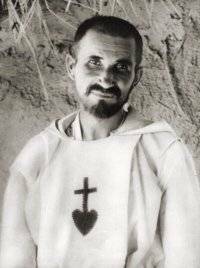 He later went to live with Franciscans as a layperson, working as a gardener and in other menial tasks. Maria was canonized a saint in 1950. Both Maria’s mother and Alessandro attended the ceremony in Rome. Like Maria, we can live the Sixth Commandment by respecting our bodies and sharing our love and friendship properly, as God calls us to do.